Wednesday April 17th - Day 3 of Tim's pursuit of Natalie's Team List points total was spent in King's Cross. Tim, Cath and I started off at the bar at The Gilbert Scott for some classy cocktails. We sat up at the counter and met the man behind the menu, Dav, who looked after us incredibly well along with his accomplice, Ama. Dav gave us some tasters of Caraway liqueur and their homemade caramelised date and star anise syrup to help us decide on our first round. We started off with the 1873 (charged with CO2), Sticky Toffee Tipple and Trade Winds which were all fantastic. Dav spotted us eyeing up the bitters bottles and offered us some more tasters. Next up was some homemade apple syrup, and some very tasty Mozart white chocolate liqueur. Ama had apparently been working on a new cocktail all day containing Mozart, Frangelico and Apple Syrup amongst other things, which didn't yet have a name (or a garnish!). 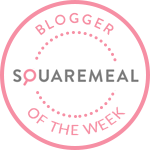 We suggested 'Requiem' which they seemed to like - please let me know if anyone spots it on their menu! Cath couldn't resist and requested one in our second round whilst Tim and I had Yupanaqui and Amber Embers respectively. Tim and I spotted a third barman doing something sneaky with a smoking cauldron at the back and told him to explain himself. It turned out he was making my drink! Meanwhile Ama turned up with some silly garnish for Cath that he had 'just thrown together' or in Dav's words 'spent 4 hours making'. Dav decided at this point to whip out some Smoked Butter and Black Pepper popcorn - doesn't everyone have that lying around? When we asked him what his strangest ingredient was, he told us to look up. Above our head was a row of mysterious bottles - every time one of the team goes abroad, they have to bring something weird back to put on the shelf. 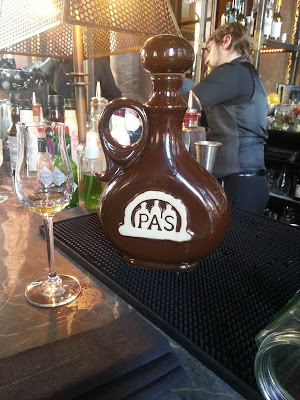 Tim clambered up and grabbed a Polish honey liqueur called Pas that Dav hadn't yet tried, which turned out to be pretty excellent. 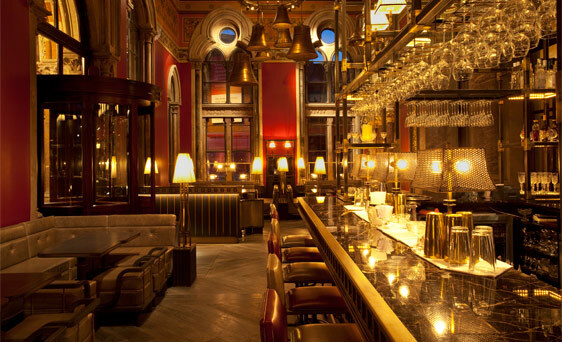 We tore ourselves away eventually as we had places to be, but The Gilbert Scott was a cut above the rest. 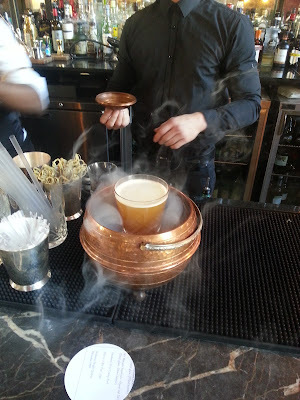 The team behind the bar were incredibly generous and so engaging that we stayed for much longer than we were meant to. It's perfectly placed for a drink if you are on your way in or out of the nearby stations. Make an excuse to go their soon! We didn't have to go far to find Black Door Bar on the first floor of The Fellow pub on York Way. After having such wonderful cocktails at The Gilbert Scott, we decided to have a cheeky pint, but there are some classic cocktails on offer. It's a great spot to have a few drinks after work if you are in the area, and is much more pleasant than the busier pub downstairs. We moved on quickly as we were meeting Emma, Ali and Maggie in Drink, Shop & Do round the corner for an evening of Lego Robots. That's right - LEGO ROBOTS. Don't worry it wasn't a one off, look at their hilarious listings to find the next date. 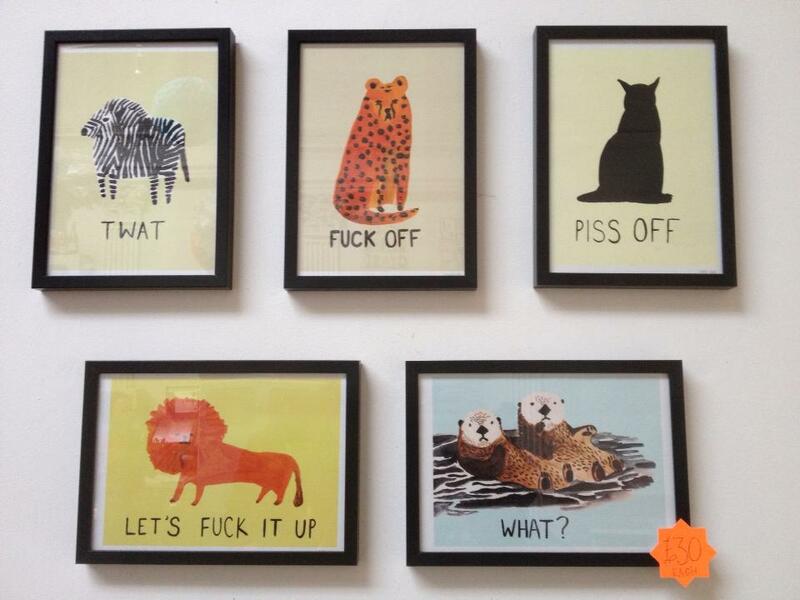 Drink, Shop & Do is an arty shop/café/bar that holds fun events in their main room. 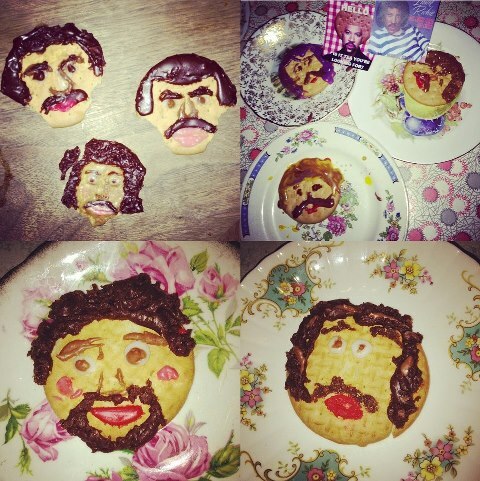 For example, 'Lionel Rich-Tea' is an evening of decorating Rich-Tea biscuits to look like Lionel Ritchie's face. 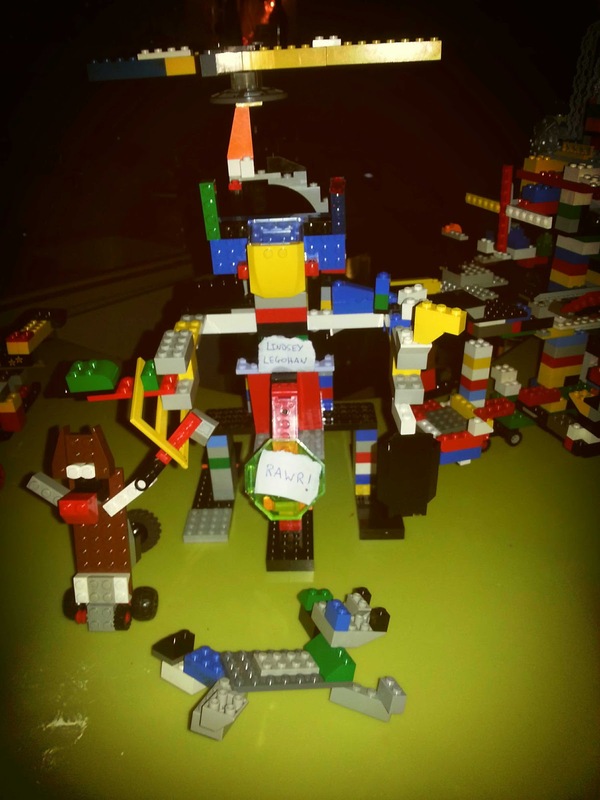 'Lego Robots' meanwhile is a night of competitive lego robot building. We split into two teams and set to work, whilst munching our way through their enticing range of cakes. Maggie, Emma and I decided early on to call ours 'Lindsay Legohan' (fresh out of Robo-rehab) having discarded Lego-las and Foghorn Lego-horn. The other team were joined by Rosie and created a robot that actually launched a projectile AND a separate vehicle! Despite Lindsay Lego-han's self-lowering middle arm, fully rotating helicopter blades and moveable sidekick, she didn't make it on to the podium, whilst the others grabbed 3rd place. It was great fun (and the cocktails are good), though more could have been made of the judging and prize-giving after we had spent 2 hours making them! The events are all free too which is very kind of them. We will no doubt return soon, possibly for Doodle Club or Patrick Swayze Clay night (modelling clay, Ghost style, in the shape of Patrick Swayze's head). It's worth going just for their cakes to be honest. 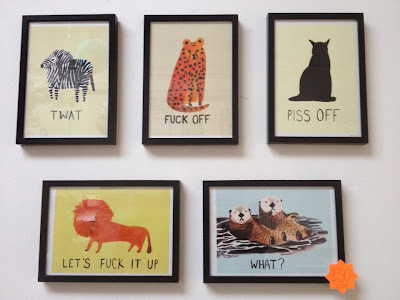 There is also fun stuff up on the walls that you can buy, and there are some amusing cards and gifts in the shop at the front. Emma, Ali, Rosie and Cath headed home, leaving Tim, Maggie and me to check out Drink, Shop & Dance downstairs. 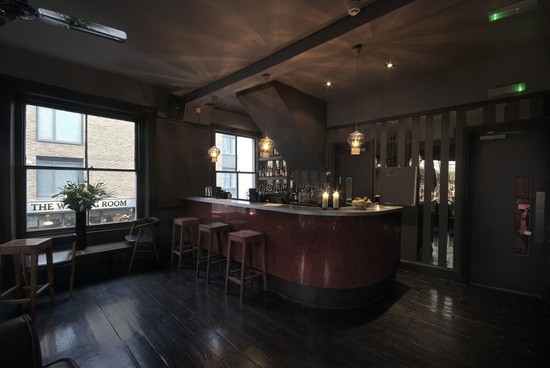 It's an attractive little bar that specialises in gin, and houses some of the more lively events that require dancing space. 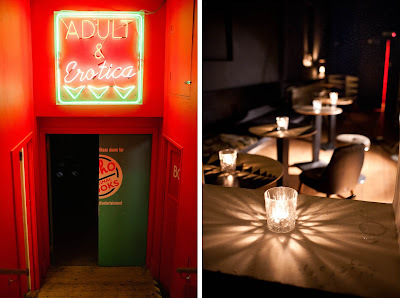 We sat up at the bar with Riccardo who gave us some tips on what to choose. Riccardo was a riot - he had possibly already had a fair amount of gin himself as it was a quiet night. We ordered three interesting gins, with a bottle of tonic water and ginger beer to mix and match. 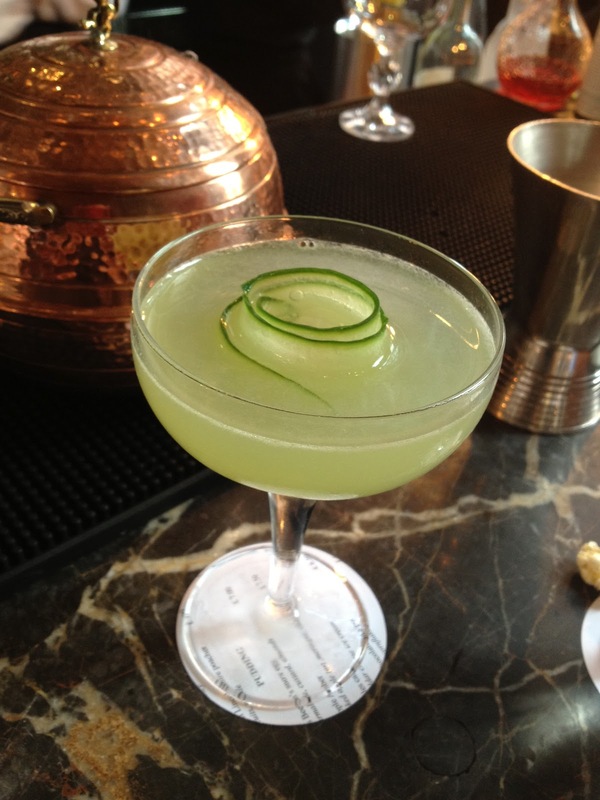 They were all very different and didn't really need mixing - Tim's Hoxton gin almost tasted of Malibu, whilst Maggie's Berkeley Square clearly had basil in. We also had a free taster of the other barman's favourite bottle which we could only describe as "very gin-ny". It's a very affordable place for high quality gin (though we avoided the bottle priced at £13 per shot / £376 for the whole thing), and it's probably still unknown to most people in the area. You don't need to be at an event upstairs to head down there. Keep your fingers crossed for Riccardo being there. Despite being in serious need of some savoury food to go with our cakes, we decided to squeeze in a drink at VOC in the secluded Varnisher's Yard. 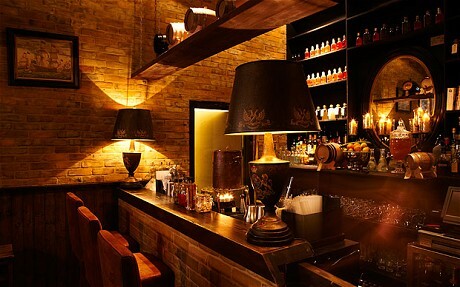 VOC is a "17th Century-inspired Punch House" that specialises in bottle-matured and barrel-aged drinks. It was shutting in half an hour, and it was pretty empty but luckily we had the perfect hostess. We only learnt her name after we had left when Tim was sent back to procure it - "This is going to be weird", he said as he stumbled back in. She made him outright ask for it just to make it more amusingly awkward. "We forgot to ask your name!" - "Yeah, you did..." - "Um... What's your name?" - "Ana" - you get the idea. It does also say we were served by Mary on our bill so maybe she was messing with him. 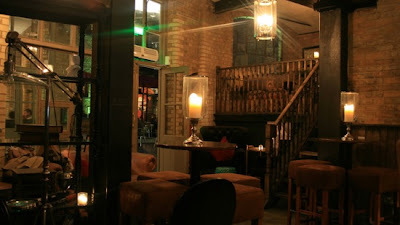 We settled at their cosy mezzanine table with a sofa per person and tried to make a quick decision which proved difficult, partly because the drinks are so fascinating, but also because it seemed Luis Suarez had already visited and taken a chunk out of one of the menus. Ana noticed we were struggling and came up to help, rather than hurry us. She went through explaining some of the stranger ingredients in detail (hay-infused stout reduction, anyone? ), and made us feel extremely welcome for closing time on a Wednesday night! Along with our drinks, Ana then brought us three tasters (without us asking) from some of her pre-made bottles - Rack Punch, Raspberry Shrub and VOC Spiced Rum were all very impressive, as were the drinks that we settled on. It's a shame that we turned up so late as this would have been a great place to spend the whole evening. Keep a look out for VOC updates as they are renovating a large room in the back so that they can start offering substantial food alongside their enticing bar snack menu. Yet another place that I need to return to! Also, if you haven't yet discovered Varnisher's Yard in King's Cross, head there a.s.a.p - it's such a peaceful place and it's a stone's throw from King's Cross and St.Pancras. We finished off our evening with an enormous burrito from Burrito Café over the road that was luckily open until midnight. The portions are ridiculous - most people would be fine with the (huge) small burrito. It's a friendly place with ample space for sitting in to eat (recommended to avoid making a fool of yourself trying to consume it on the tube/bus/street). They also sell good bottled beer (including Sierra Nevada) at very reasonable prices. I hope they open up a SW London branch soon! It was a seriously successful evening, especially considering how close together they all were. With more left to try nearby, and Upper Street not too far away, King's Cross seems like a very clever place to live right now. There's nothing Tim and I like more than fun bar staff, and Dav, Amma, mystery cauldron man, Riccardo, and Ana/Mary were a dream team that kept us highly entertained all evening. Tim moves ahead of Team List leader Natalie with a 6 pointer, whilst Maggie finally gets some more points on the board - remember when she was winning? Emma gets her first and last point before disappearing to Chicago for the foreseeable future. Hopefully there will be a Chicago List special edition in the future. Ali, Cath and Rosie continue to grind out the points. Flatmate Maggie now leads flatmate Ali 8-7, though a special mention must go to Ali this week for running the London Marathon in a ridiculous time of 3 hrs 14 mins 42 secs. Go and sponsor her ongoing 3000 mile challenge through her blog here. Shall we write a blog about Jesse?